Tiziana D'Angelo is a certified Teacher and Yoga Teacher (RYT 200hrs) and opened Stretching Canvas in September 2015. 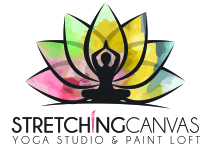 Stretching Canvas is a beautiful sacred studio space where you can stretch beyond the body, mind and soul through yoga classes, mindfulness, meditation, painting classes, workshops and healing circles. 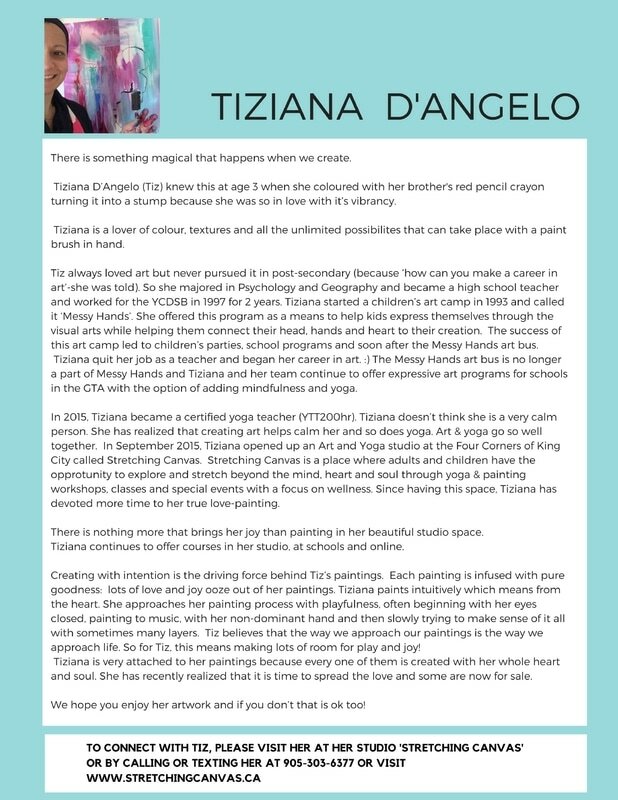 Tiziana truly loves painting in her studio space! She teaches those who want to be inspired to create, how to listen to their intuition and allow the soul to guide along one's creative process and journey. 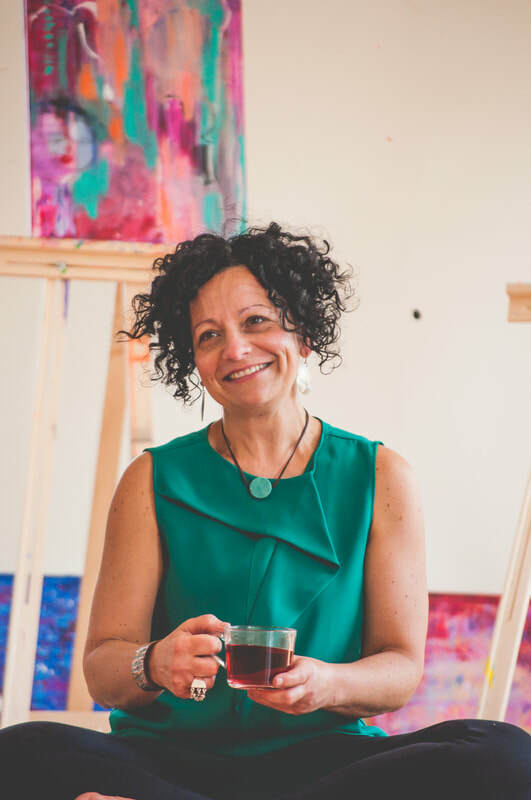 ​She also teaches yoga in the Kripalu tradition which has helped her develop the process of painting and guiding those in the paint programs she has designed. We hope you can visit our beautiful studio, take a class and find support on your inner, creative journey where you can connect with the shiny light that you are!